Tea culture has a long history in China. The one who drinks tea in a proper way could clean his blood vessels and the person who is good at making tea could purify his heart through making it. Although it is just small leaves, it contains the heaven and earth. 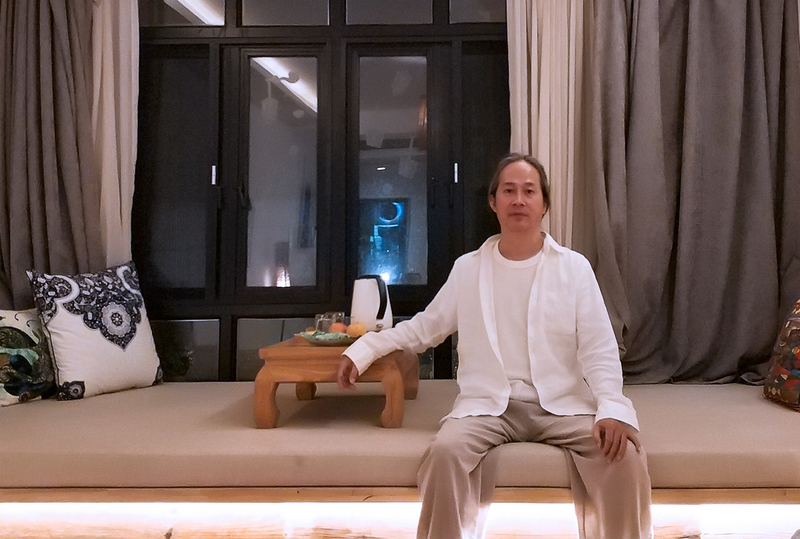 This time, the story of my awakening of meeting with Master Hong Sheng could start from tea. On the evening of August 18, 2019, after dinner we came back to Hangzhou Canal Che’fle Hotel in Zhejiang, China. All of us gathered together in Master’s room, sat on the floor. I voluntarily applied for serving, “Let me make tea for you.” Then brother Shen asked, “Do you know how to make tea?” “That’s a piece of cake. Just pour boiled water in and out. Not tasting too terrible would be ok.” I replied. After brewing the tea twice and drinking, Master said in a placid tone, “Making tea like that is a bit of wasting the tea”. I was much confused to hear that, then he continued, “This is very good tea-leaves, but there is neither tea fragrance, tea energy nor tea strength, tea lingering charm. Drinking plain water is better than drinking that tea.” Hearing that, my heart chilled. So I immediately consulted Master about what the problem was. “Impatience”, yes, Master made the point. His word was like a dagger cutting open the malignant tumour hidden deep inside my heart which I was very familiar with but had never really realized. While I was feeling the pain, I also saw the problem clearly. Recalling the work and life experience over the last year or so, I found that impatience was always with me. I was so easy to get impatient when encounter some things. Moreover, I was utilitarian, being anxious for success, and because of those I was not able to handle my work very well. Thus I got disgusted and afraid of work. It was just the problem that I urgently need to amend at present. There is an old saying, “It is all in vain to meet with Mahayana Buddhism without a Master who has achieved enlightenment to guide you.” Since I went to primary school I had always heard my parents and teachers mention the problem of impatience. However, I never had deep realization of it, thus had no chance to correct. It was not until Master pointed it out that I was awakened and shocked, realizing that I needed to correct it urgently. We people probably have lots of shortcomings, while it is very difficult for ourselves to find them without someone pointing them out at an appropriate time and occasion. Even if found, we have no power to make a real improvement. Taking the opportunity of making tea to find the present problem that needs to be corrected, and to make improvement day by day, as time goes by, someday the heart would tend to be pure and peaceful. At that moment the “tea fragrance” would spread all over the world and the world would be full of love.